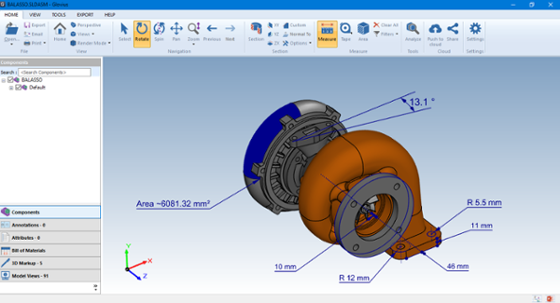 Take linear, angular and redial measurements on your CAD Model using Glovius. Tape – calculate the length of a component along a line. This is typically used to calculate the total length of a wire harness or the curved edges of asymmetrical components. Surface Area – Calculate the area of a selected surface. Hold down the Control key to calculate area of multiple surfaces. Watch this video and get going.